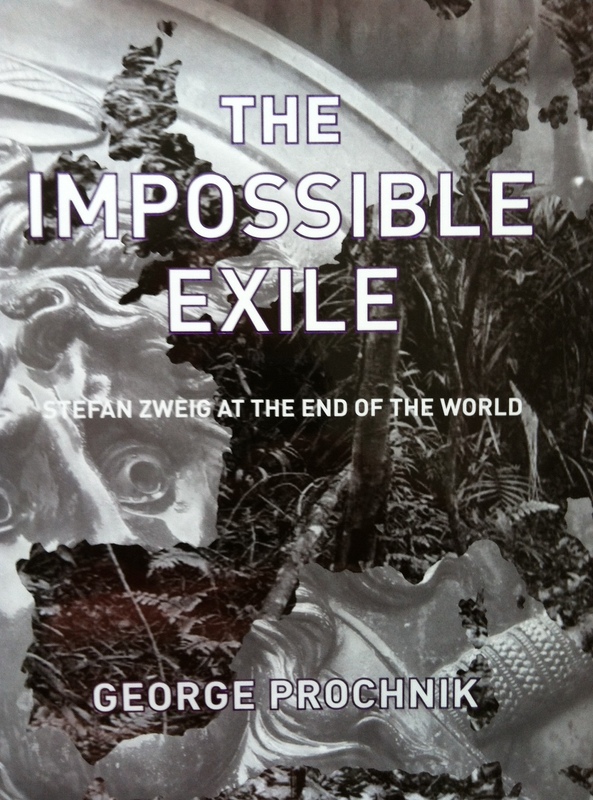 George Prochnik’s The Impossible Exile: Stefan Zweig at the End of the World* is an amalgam of forms, combining elements of biography, family history, intellectual and cultural history, and literary criticism. Its subject is Stephan Zweig, an Austrian writer of prolific output who was one of the best-known cultural figures of his day. Zweig was a proponent of international humanism, a cosmopolitan in every sense of the word, a stalwart supporter of all the arts, a music aficionado, and mentor to many aspiring writers. His books — fiction and nonfiction — were the most widely translated of the 1930s and were more often than not bestsellers. When the Nazis rose to power, however, Zweig (who was Jewish) found himself exiled from his beloved Austria, drifting from country to country, increasingly demoralized and depressed. In 1942, he and his wife killed themselves in a small Brazilian town. On the surface, this was an inexplicable act. Zweig was only sixty. had just published two books (his memoir and a study of Brazil, a country he loved), was, by all accounts, deeply in love with his much-younger second wife, and was still one of the most popular authors in the world. The Impossible Exile seeks to understand his situation by exploring Zweig’s life, shifting cultural milieu, and his work. For Mr. Prochnik, investigating Zweig’s life in exile has personal resonance, since his own father and grandparents fled Austria in 1938 to escape the Nazis. Too often, he writes, the successful escape is the story; we don’t read or hear about the particular experience of exile with its concomitant losses. The Impossible Exile is a thoughtful, sensitive work, and highly recommended. I also recommend this excellent long review in the New York Review of Books, which also includes a brief discussion of Wes Anderson’s recent film The Grand Budapest Hotel, which inspired in many ways by Zweig and his ouevre. (it’s an excellent movie; I love Wes Anderson movies, and The Grand Budapest Hotel represents real branching out for him). If you’d like to read some of Zweig’s own work, I can recommend from personal reading experience his biography of Marie Antoinette; New York Review Books is also re-issuing some of his works in new translations. This sounds both fascinating and sad. Does the book help you come to a better understanding of why they took their lives? How true that the published stories of Jews (and others) who escaped the Nazis often end with their escape or sometimes are fast-forwarded to old age with the acknowledgement of “survivor” without telling the story of their lives after exile. This book sounds fascinating. It’s so, so interesting. I haven’t read anything quite like it.